It must be acknowledged that there are some situations in which we accept that it would be justifiable to violate the law, or at the very least in which the circumstances would mitigate against our full condemnation of a violation. Such justification, in the form of exceptions, defenses, and reduced punishment, is indeed built into most domestic legal systems, and is part of most conceptions of justice. 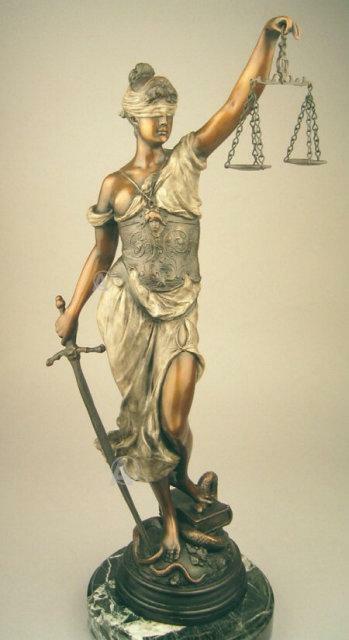 I would suggest that the fundamental criteria for determining if a violation of international law may be justified or excused on the grounds that it is necessary to address some other violation of the law, is the relative effects that the two illegal actions would have on the integrity of the legal system itself. 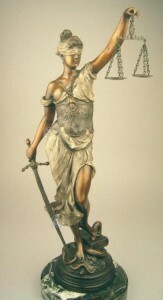 That is, the violation of the law is only truly justified if it is going to do less harm to the integrity of the legal system and the rule of law, than the mischief that the illegal action is undertaken to address — where inaction in the face of illegal conduct would undermine the legal system more than a violation of law committed to prevent or punish that ongoing illegality. Applying this in the context of Syria, the violation of the prohibition on the use of force could only be fully justified if it would cause less harm to the legal system than the harm caused by allowing the use of chemical weapons to go unpunished. But, objectors will say, this ignores the humanitarian issues! Surely one could justify a violation of international law if a million lives were on the line, if a million people would perish but for the violation?! I would suggest that the humanitarian issues and the integrity of the legal system are actually related. No system of justice could long maintain its legitimacy and integrity if it required a dogmatic adherence to rules that made possible the deaths of a million innocents, particularly where the violation of law that could save their lives would cause substantially less harm and had a morally superior claim than adhering to the rules prohibiting such action in the circumstances. It is in this sense that the NATO air strikes in Kosovo in 1999, which were primarily aimed at preventing an anticipated Serbian slaughter of ethnic Albanians, has been called legitimate but illegal. Had nothing been done due to the political impasse in the Security Council and a slaughter ensued, the legal institutions and the underlying system would have suffered greater harm, arguably, than they did due to the illegal use of force. There is no question, for instance, that the genocide in Rwanda, which was made possible in part by the refusal of the US and other Security Council members to order UN peacekeeping forces to intervene, badly damaged the credibility of the international legal regime. It must be recognized, however, that the violation of a fundamental international law norm also causes significant harm both to the authority of that norm and to the legal system as a whole. Indeed, this is implicitly acknowledged by the advocates of the strikes on Syria, when they argue that Syria’s unpunished violation of the prohibition against the use of chemical weapons will weaken the norm, and indeed the entire system of laws governing armed conflict. It must also be recognized that the prohibition on the use of force is a first order norm. The entire UN system is build upon the foundation of this norm, as the basis for maintaining international peace and security. Its violation, particularly by nations that are looked to for leadership in the international community, causes grievous harm to the entire system. This harm has been made apparent in the aftermath of recent violations. Without getting into the list of controversial uses of force by the U.S. during the Cold War, the invasion of Iraq in 2003 is widely viewed as having been an unlawful act of aggression, and the ramifications of that conflict on the legal system are still unfolding. Moreover, not only has the U.S. caused harm to the authority of the norm itself but to the institutions designed to enforce it — by flouting judgments of the International Court of Justice in relation to its use of force, as in the Nicaragua case of 1986; by explicitly rejecting the UN Security Council process, as in the invasion of Iraq in 2003; and by exceeding UN Security Council authority as in the NATO intervention in Libya in 2011. These all gravely weakened the UN system. The Russians and Chinese thus have some basis for being suspicious of how the West would exploit any limited authority that might be provided for an intervention in Syria. The vote by the British Parliament last week against involvement in any strikes against Syria similarly reflects the legacy of the recent interventions in Iraq, and to a lesser extent Libya. The irony is that the harm such violations cause to the system is even reflected in the arguments made by the advocates of strikes. Thus it is said that international law is not really law, and need not be adhered to, because it is so seldom enforced and so often violated. The reality, as a great American jurist famously remarked, is that most countries adhere to most of international law most of the time. But it is precisely because some of international law’s most important principles, such as the norm on the use of force, and the prohibition against torture, have been so flagrantly violated by the self-professed leader of the free world, that it is said that the law lacks force. So it is this harm that must be weighed against the supposed benefits of violating the law – and the benefits have to be for the international legal system itself, not the national interest of one country or some group of countries within the international community. It may be that there is overlap, such that there are incidental benefits to one of the perpetrators of the illegal conduct, but those benefits can never by the objective of the action. If the purpose of the unlawful act is to benefit the perpetrator, then the act will be prima facie illegitimate and unjustified. This is the first reason that the proposed strikes on Syria simply cannot be justified. The motives and objectives are so clearly mixed, with maintaining American “credibility”, sending strategic signals to Iran, and even responding to domestic constituencies, being prominent among them. It is simply not the case that the primary purpose is to uphold the international legal order, regardless of all the rhetoric in that regard. Nor are the strikes designed to put an end to the slaughter and ongoing crimes against humanity, and the experts are mixed as to whether they will be of any benefit to the Syrian people whatsoever. So legitimacy in the Kosovo mold is nowhere to be found either. Even if the sole or dominant purpose of the strikes really was to enforce the norm on chemical weapons, it still could not satisfy the test. The prohibition on the use of force is a higher order norm than the prohibition on the use of a particular weapon. As indicated above, the peace and security of the international system depends upon the legitimacy and normative power of this norm, and upon the legitimacy of the UN, the institution designed to oversee its operation and enforcement. Violating the norm and once again rejecting UN authority in a manner that erodes the legitimacy and relevance of both will do great harm to the foundation of world peace and security. In contrast, the risk that inaction would cause real harm to the taboo against chemical weapons is not nearly so grave. Consider that Saddam Hussein’s use of chemical weapons, first in the Iran-Iraq war (apparently, we now learn, with some American complicity), and later against the Kurds within Iraq, did not lead to a fatal erosion of the norm. Moreover there are alternative ways to enforce this norm, such as later prosecution of the perpetrators in the International Criminal Court. Those who advocate for yet again violating the norm on aggression should consider the long term ramifications of this for the international legal order. Some Americans may think that the world can get by with the U.S. simply dictating the laws that others must obey, with latitude to violate the law itself when necessary to enforce compliance. But that model is not, of course, consistent with the rule of law, or with a legal system that can mobilize compliance through a widely shared sense of the law’s legitimacy and authority. It is a model of authoritarian rule by a Leviathan, which by its very nature destroys the legitimacy and authority of the legal system. And when the Leviathan is no longer capable of enforcing its chosen rules, and challengers to its power and world view emerge? Well then, in the absence of a well developed legal system that enjoys legitimacy and authority, we will simply be left with an increasingly anarchical system, in which we in the West will belatedly seek to assert the rule of law and vainly seek refuge in norms that we have ourselves helped to eviscerate. And we will have only ourselves to blame.